NEW PRICE - REDUCED $10,000! Come and see this very nice 4 BDRM 2 BATH home on over 3 ACRES! Nice updates throughout! Finished basement w/ family room + storage area. You will love the large wraparound deck, 2 covered porches, and the nice & big flat backyard! 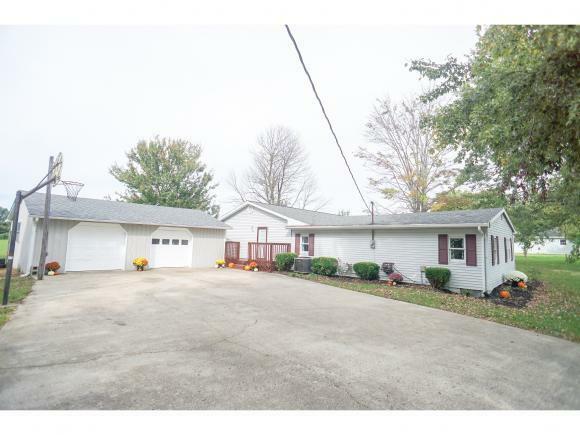 Home also offers a detached, insulated, heated 2 car garage with a new roof & gutters in 2018, large concrete driveway w/basketball goal. New heat pump, central air in 2015. New roofing on home in 2013. Main floor living room & downstairs family room. Kitchen appliances included in sale!